Poetry teatime is a new term for me. I purloined it from Navigating By Joy's blog. Basically you have a wee tea party and each person takes a turn to read a poem but click through to Lula's blog and the full explanation will be there. We study poetry every week but this week, knowing how my girls love our tea parties, I decided to give Poetry Teatime a go. Even though it's winter in NZ, as the day wasn't too bad I decided to set up on the deck. We had hot cacao (same as hot chocolate but made with cacao and sweetened with some organic blue agave), fruit (fresh and dried), some nut balls/truffles and mini Pavlova's with lemon yoghurt and cacao nibs. It was all pretty healthy but yummy! The girls asked if they should get "dressed up" for the event. I suggested that as we were outside simply to make sure they were warm. Check out the hats they came back with! Seriously they are so theatrical at times. We then ate, sipped hot cacao and took turns to read one of the three poems we had each chosen earlier in the day. Agent Smelly read her first poem with gusto. She chose one about winter, then a couple about animals. The Fashionista, sporting a beret (who knows why) chose a Robert Louis Stevenson poem for her first and then her next two were more humourous by anonymous authors. We didn't read them all at once, but took it in turns to read one each. I chose a Robbie Burns poem but was told that I had to read it in a Scottish brogue and being the dutiful mother I complied. They simply adore A Red, Red Rose which they were introduced to in the book, A Child's Introduction to Poetry, which we base our poetry lessons on. 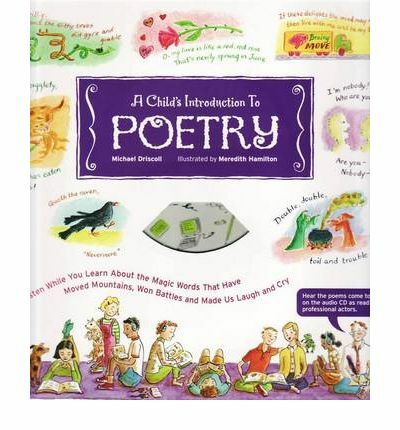 This book has all of the different kinds of poetry with explanations, and many famous poets from throughout history. It has an accompanying CD with professional actors reading the poems which you simply play when the "play track" symbol shows in the book. It was a lovely way to spend an hour in the afternoon and my girls found it vaguely amusing when the country school buses started going past as we sat outside reading and eating. I love this! I just showed the photos to my 8yr old - we both find it unbelievably cool to see you having poetry tea in New Zealand! Your poetry book (and especially the CD) sounds fab, I'm going to look it up. And I especially LOVE the hats! I'm getting the idea for a dress-up poetry tea ... How perfect for reading poetry. We are planning an "Anne of Green Gables" poetry tea and are inviting some other homeschooled friends along. That should be fun! I hope you post about your Anne of Green Gables tea! Just to say - we finally got a copy of A Child's Introduction to Poetry, which I'd had in my US Amazon basket since I read this post! We enjoyed our first poetry tea with it today, it's wonderful - thank you! Hi, I am Lisa, an Aussie mother of two, homeschooling her girls in beautiful, rural New Zealand. Are there spaces between Liquid Particles?